Providing fast, honest and efficient appliance repair for West Springfield, Mass., since 1980, L&W Appliance Service aims to provide you with same-day service. We know your time is valuable and when your appliance breaks down, you can’t wait for it to start working again. We keep our trucks fully-stocked with new, factory-authorized appliance parts so your repair can be completed as quickly as possible. We aim for same-day service for all of our calls. Our factory-trained service technicians are experienced in fixing many brands of residential appliances such as Admiral, GE, Hotpoint, Maytag and Whirlpool. See all the brands we repair and service. We also provide 24/7 emergency appliance repair for West Springfield as well. Call us today to schedule your appointment. 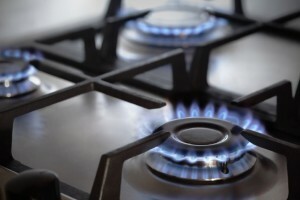 If your gas stove top burners are not lighting properly, make sure the area around them is clean and free of food debris and spills. Sometimes, overflowing pots and grease can interfere with the stovetop ignitor and prevent it from lighting and burning properly. West Springfield is a city in Hampden County, Massachusetts. It is part of the Springfield, Massachusetts Metropolitan Statistical Area with a population of 28,391 as of the 2010 census. The city is also known as “West Side”, in reference to the fact that it is on the western side of the Connecticut River from Springfield. It is also home of the Eastern States Exposition (“The Big E”) – one of the nation’s largest agricultural fairs – held each September.